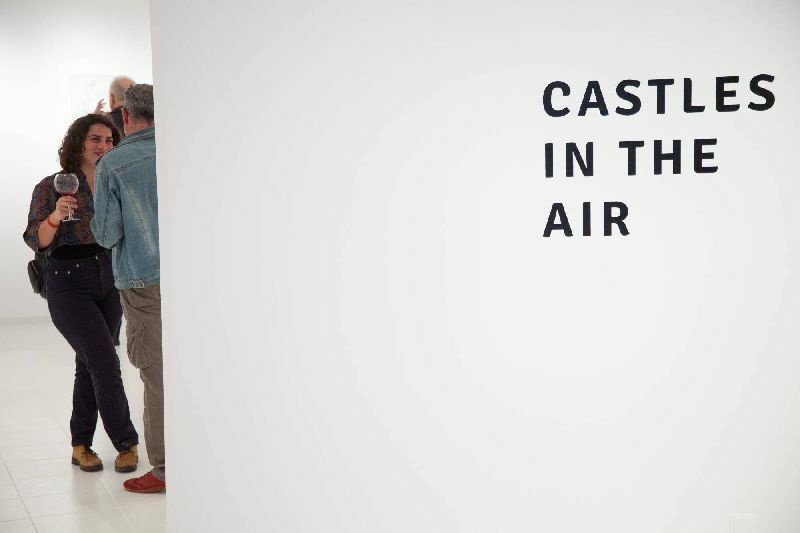 A castle in the air is another universe, a microcosm with its own rules of reality. A parallel world to the real world, another way of being. Hope, phantasy and imagination merged with fears, doubts, memories and wishful thinking - this absentminded state of consciousness of DAYDREAMING. With a different spatial definition than the one we are used to, the work of the four artists participating in this exhibition suggest a concept where nothing is as we know it. With aspects taken from reality, they deal with issues of lost time, fear, longing, love, loneliness and beauty - all very “real” and understandable matters, in their impalpable way of existing. Without imagination and hope we lose our ability and our courage of striving towards change, hoping for something different in the future. And that is surely what daydreams are all about. Daydreams, this absentminded and peculiar state of consciousness parallel to the real world, is overflowed by different states of mind that we find ourselves in. It is a way for us to process the present, with its fears and doubts, memories and hopes for the future, but most of all, of ourselves and our being in this world, interacting with the space around us and the people in it. “We are still living under the reign of logic: this, of course, is what I have been driving at. But in this day and age logical methods are applicable only to solving problems of secondary interest.” We live in a culture that is committed to rationality, writes André Breton in his Manifesto for Surrealism. He give thanks to the discoveries of Sigmund Freud, who, in fact, considered daydreams as predominantly shaped from the substance of current experiences. Even in our phantasy it is difficult for us to imagine outside the boundaries of the real world. The work of the four artists participating in this exhibition suggest a concept of another possible way of being, where nothing is as we know it. With aspects taken from reality, they deal with issues of lost time, fear, longing, love, loneliness and beauty - all very “real” and understandable matters, in their impalpable way of existing. The works are figurative with narrative features, where the characters are engaged in their own world, interacting with each other and their space, in their reality, as if it where the most natural thing in the world. It seems like a logical world for them to be in and we accept them and their being in this other world, without questioning it. They hijack the conventional features of a given language, that is, the existent world and what it looks like and how we act in it, in order to depict a parallel or mythical one that sets to shake our imagination. And imagination is an essential ingredient in our aim of striving towards change of any situation, hoping for something different in the future. That is surely what daydreams are all about. 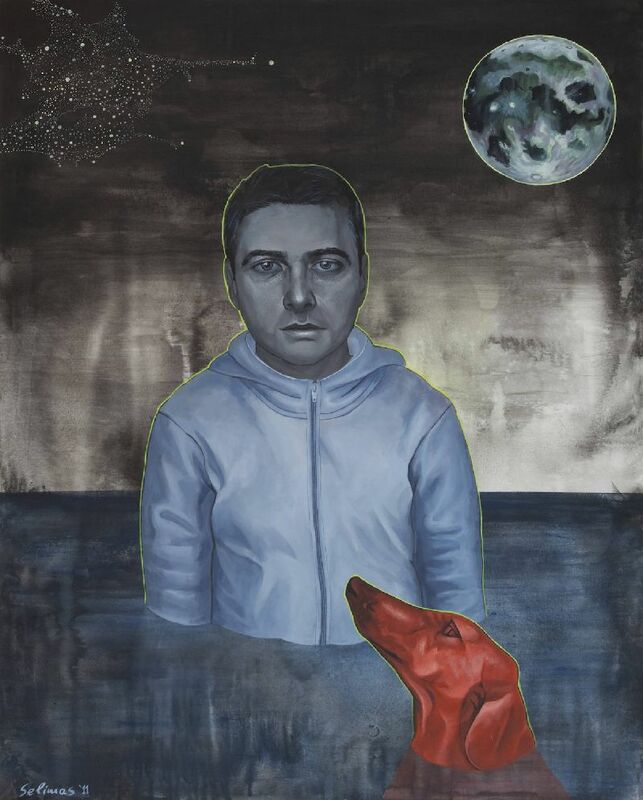 Vassilis Selimas’ dreamy paintings portray feelings of longing, nostalgia and an uneasy concern or worry of the transition of time that passes. He interprets the known faces around him - family and friends - those people that are closest to us and shape the way we are throughout our whole life, no matter if we want it or not or how far those specific people are geographically. It is the relationships with a capital “R”. Their importance makes them complicated, because relationships change - which is what relationships naturally do. Nothing stays the same, we constantly re-create ourselves and others’ positions in relation to us. The characters of Selimas’ paintings look at us with a penetrating gaze, not letting us get away or forget. Forget what? The memory of them? Of who they where, once? Of who you where? Of how life is so ephemeral? Of how unpredictable and constantly changeable everything is? Vassilis Selimas was born in 1983 and studied painting at the School of fine Arts of the Aristotle University of Thessaloniki. 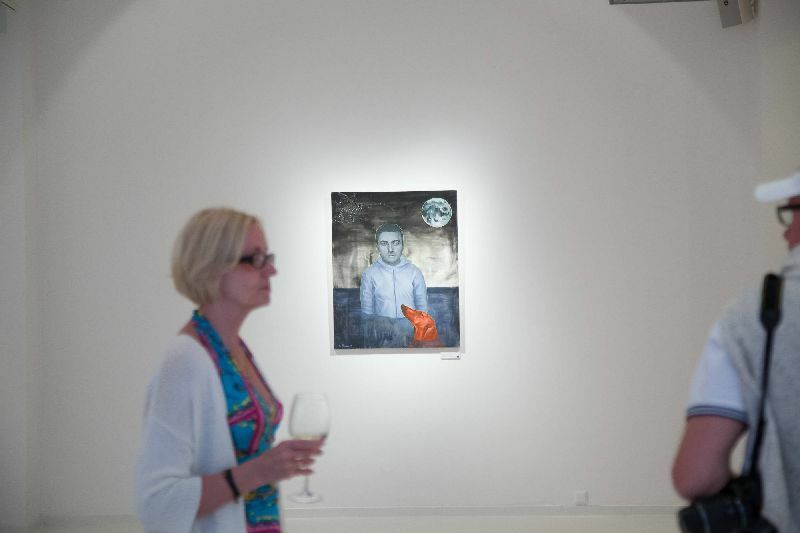 Selimas has exhibited in numerous group exhibitions as well as, most recently, at Thanassis Frissiras Gallery in Athens in his own solo show. He lives and works in Athens, Greece. Reminiscing of times like the school years, Hsiao-Ron Cheng aims towards creating more complex worlds, mixing phantasy and reality. 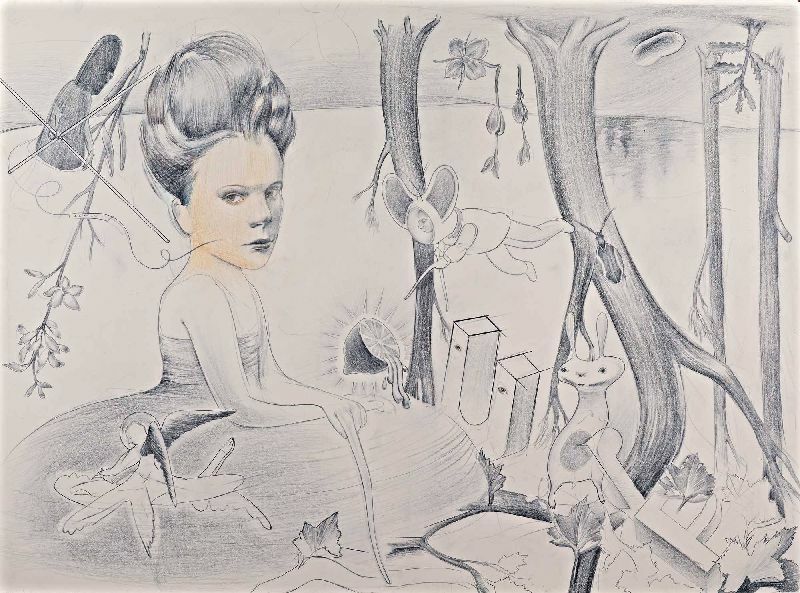 In stories with childlike and other imaginary creatures, her intention is to show the complexity and fragility of life. Nature, humans and animals share her ambient and beautiful surreal world, where mountains as well as humans are dipped in pastel colours. Born in Taiwan in 1986, Hsiao-Ron Cheng is an artist and illustrator who works in different mediums but has achieved international attention as a digital artist. She works with galleries as well as by commission for clients such as design agencies and fashion brands and her work has been featured in magazines throughout the world. She has exhibited her work in San Francisco, New York and Las Vegas, as well as in Berlin and Beijing. 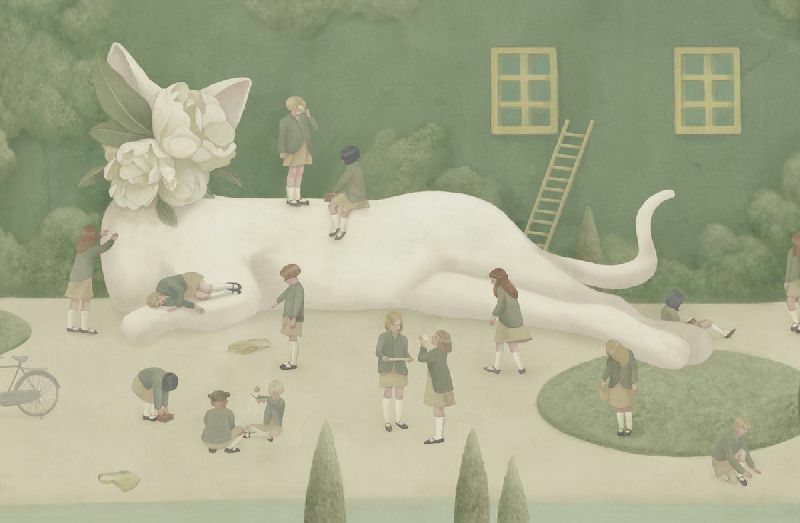 In 2012 she got the Young Illustrator Award. 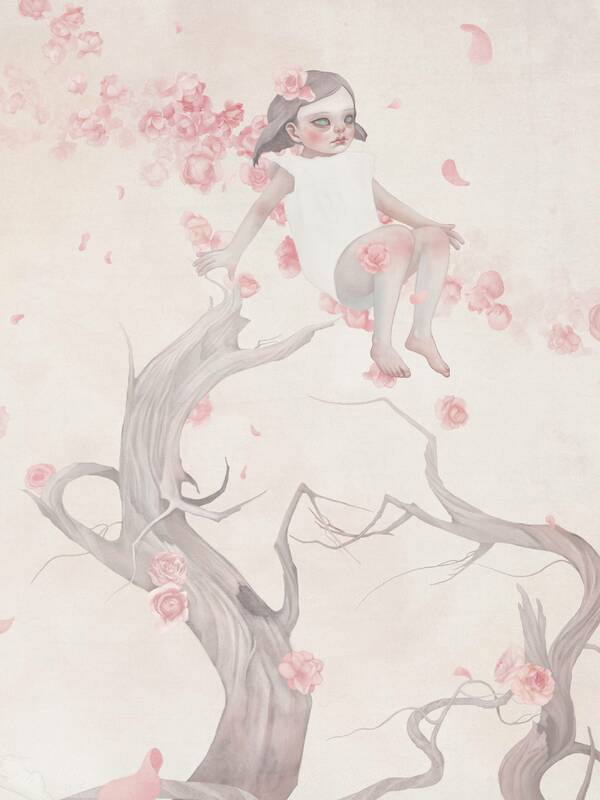 Hsiao-Ron Cheng currently lives and works in Taipei, Taiwan. The universes of Katsipanos are crowded with different creatures and human-like figures that are very confident in whatever they are up to. They look out of the paintings with a bold, almost assertive look as if they were active doing something before you looked at them which they will most definitely continue after you have turned and walked away. Using a collage-like approach, Katsipanos creates paintings and drawings rich in different shapes and colours. 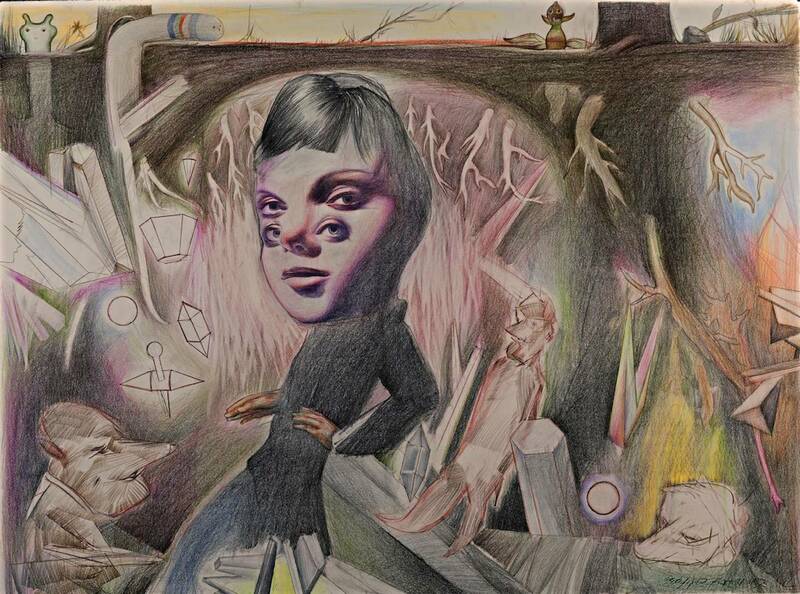 It is almost like a chaotic but rhythmical tune loudly accompanying his pop-surrealist worlds. Theophilos Katsipanos was born in 1975. He studied painting at the School of fine Arts in Athens and has exhibited all over Greece as well as in Cyprus. He has had 7 solo exhibitions and his work can be found in collections both in Greece and abroad. 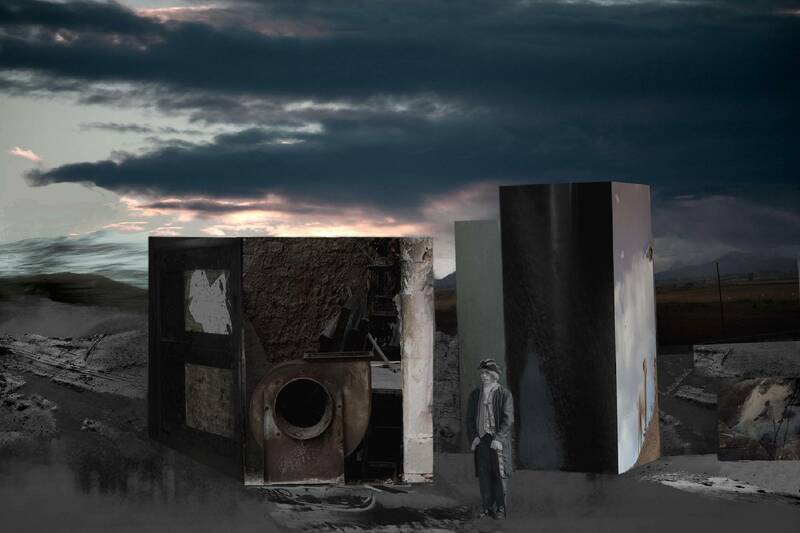 Using only his own photographic images as material, Giannis Galanakis transforms a medium traditionally used as a channel for representation of reality and the “truth”, to surreal collages with a finger top feeling for colour, shape and balance. Segments of photographs are enlarged; others are distorted to almost unrecognized forms, used with a great deal of phantasy to create something totally different from the original image. Moody skies and dramatic landscapes emphasizes his characters introspection in what resembles excerpts from theatrical or movie scenes. Giannis Galanakis, from Heraklion, Crete, is a self-taught photographer that has presented his work in one solo show as well as in a group exhibition at the Municipal Art Gallery in Chania. He lives and works in Chania, Crete.